Live, Europe’s largest temporary access company, returns to the Showman’s Show 2018 with a game changing new product. With a swift and safe install TigerTrak™ is a heavy-duty ground protection system like no other. With no mechanical fixings, it has a patent-pending 'drop-n-lock' connection, resulting in one of the world's fastest systems to install. Independently slip-tested, it is certified as 'low-risk and the aluminium rigidity and layout method improves load deflection hugely, making it one of the safest systems ever. TigerTrak™ plugs the gap between heavy-duty, crane-installed trakway and lightweight, pedestrian plastic systems. Perfect for heavy loads on prestigious surfaces e.g. stadiums, sports surfaces, concourses, golf courses and parkland, where timescales or access are tight. TigerTrak™ needs no HGV/Crane to operate it, with no mechanical fixings, it is rapidly installed by hand at up to 1000 sq/m per hour! It is set to revolutionise temporary access with a compact and strong aluminium system that doesn’t need a lorry-crane to lay. It is light enough to be installed by hand yet capable of spreading 12 tonne axel loads. The system has already proven itself this season with major touring acts and it has gained fantastic feedback from our customers and venue groundsmen. In addition to TigerTrak™, the Live team will also be on-hand to discuss its continuing collaboration with JCB, where it seeks to innovate and develop a new state-of-the-art vehicle to assist with the recovery of Trakway systems. TrakMaster, a modified version of JCB’s Hydradig 110W, has been designed to offer greater flexibility, safety and productivity when recovering Trakway - temporary roadways, pedestrian walkways and flooring. The new equipment recovers panels up to four times faster than traditional lorry and crane configurations and Live is the only firm in the country to be able to offer this new and more efficient service to customers. 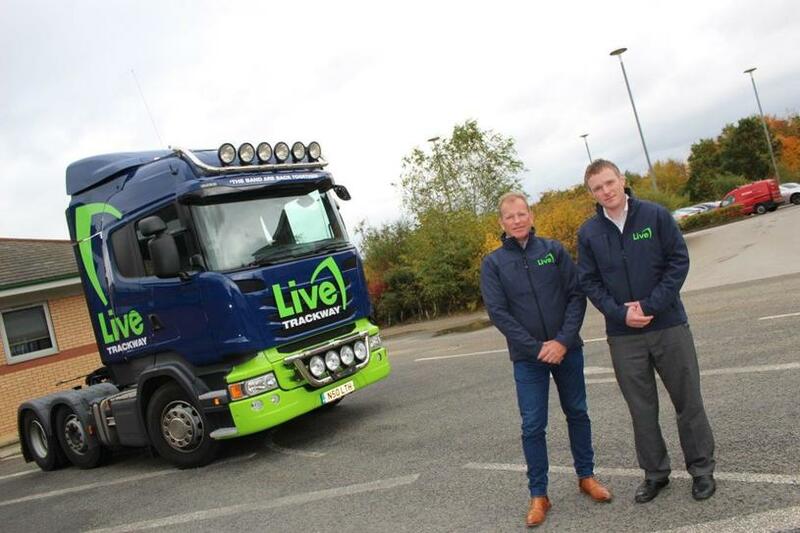 Live was the first company to introduce a hydraulic clamp into the industry and their latest version has been developed specifically for The TrakMaster. This innovative configuration has already been deployed to a number of major outdoor events this summer including, The Isle of White Festival, RHS Chatsworth Flower Show, British Summer Time at Hyde Park and the Farnborough International Airshow. For more information about these and Live’s award winning products and services, please visit stand 307, avenue F.